Honor the 50th anniversary! 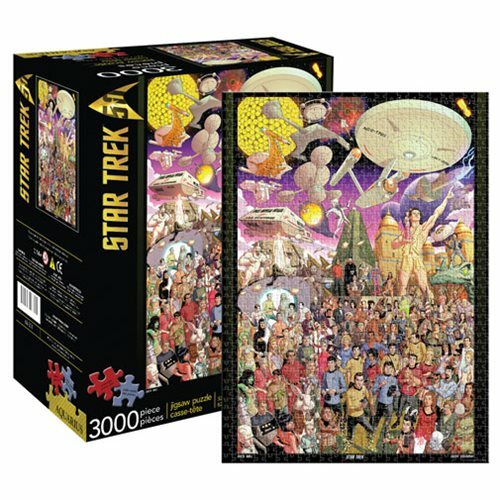 Commemorate the 50th anniversary of Star Trek with this 3,000-piece jigsaw puzzle created by artist Dusty Abell. It features 123 individual characters from the 79 regular season episodes as well as the pilot. See how many you can identify! The Star Trek 50th Anniversary 3,000-Piece Puzzle measure 32-inches x 45-inches when completed. Ages 14 and up.